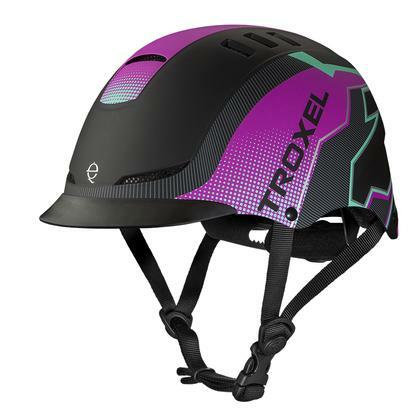 Troxel Rebel riding helmet features mesh-covered vents, a low profile, a Duratec finish, and a FlipFold removable washable headliner. Available with either an "Arrow" or "Southwest" style graphic. 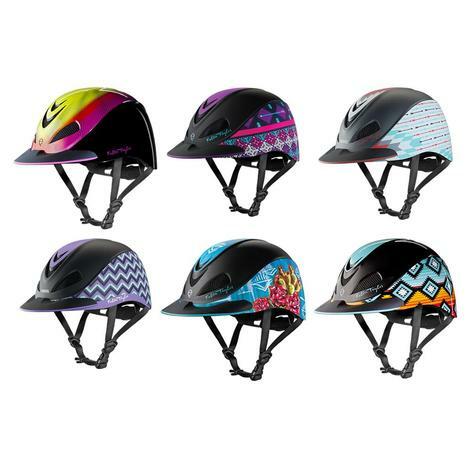 The Spirit Graphic Print is the #1 riding helmet on the market. It’s new low profile and full coverage design provides ultimate comfort. The DialFit system and the new size range give you improved fit options that add to your comfort and safety. The vents have been placed to create maximum airflow. Air-Channel technology in the FlipFold headliner works with the vents to keep heat from accumulating. The FlipFold headliner is removable and washable. 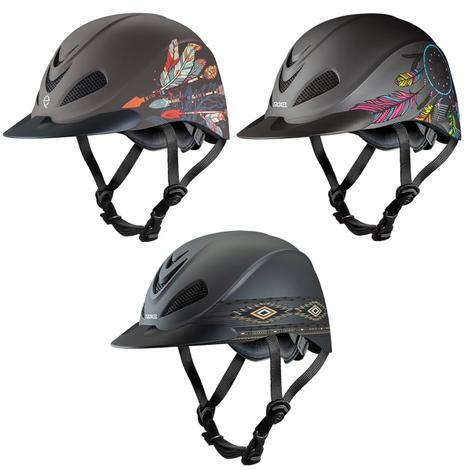 The Spirit Graphic Print riding helmet is ASTM/SEI certified, so you can be sure you are protected. Without sacrificing comfort or style. 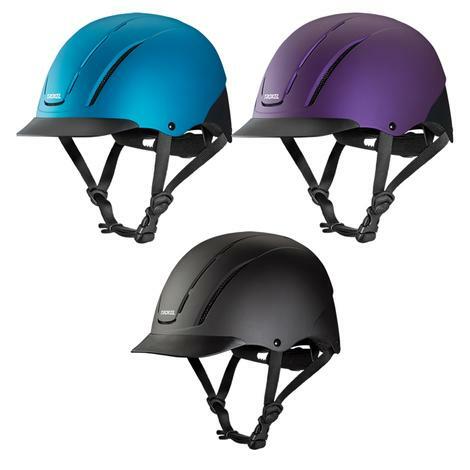 The Spirit is the #1 riding helmet on the market. It’s new low profile and full coverage design provides ultimate comfort. The DialFit system and the new size range give you improved fit options that add to your comfort and safety. The vents have been placed to create maximum airflow. Air-Channel technology in the FlipFold headliner works with the vents to keep heat from accumulating. The FlipFold headliner is removable and washable. 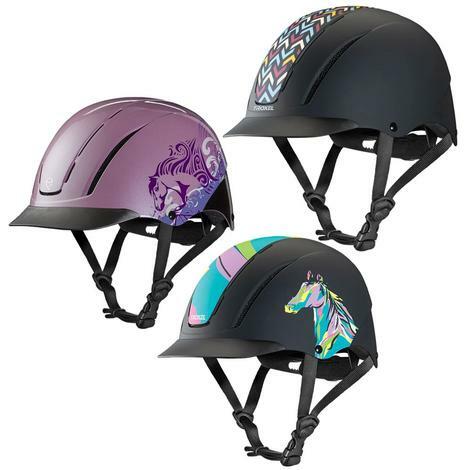 The Spirit riding helmet is ASTM/SEI certified, so you can be sure you are protected. Without sacrificing comfort or style. This is a rugged helmet designed for the toughest terrain. 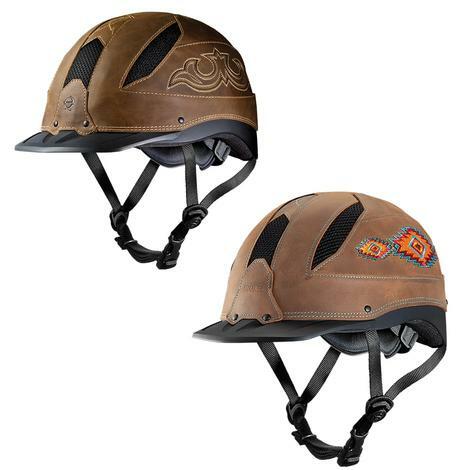 The Cordura and suede covering gives this redesigned low profile helmet a western flair that is as attractive as it is durable. The mesh covered vents let air circulate through the air channels in the open cell foam. 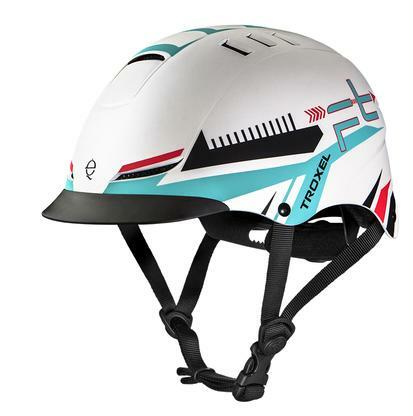 This helmet is also moisture wicking to keep you cool and comfortable in the saddle. The flip-fold adjustment and sure-fit pro system get you a secure fit. The headliner is removable and washable. Get a precise fit by using a helmet with DialFit, which allows you to quickly adjust this helmet to your exact specifications. 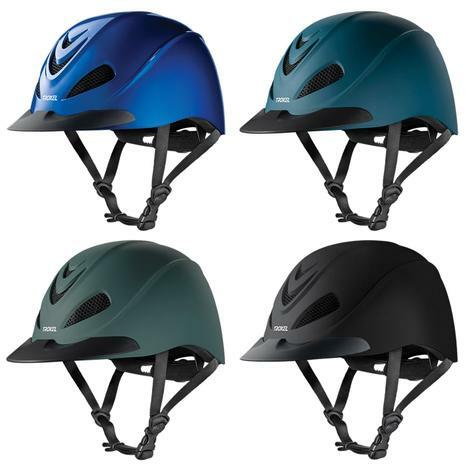 This helmet is ultralight weight and has a low profile design. Troxel combines safety with comfort. Multiple mesh covered vents allow air to flow freely under the helmet. The head liner is removable and washable. 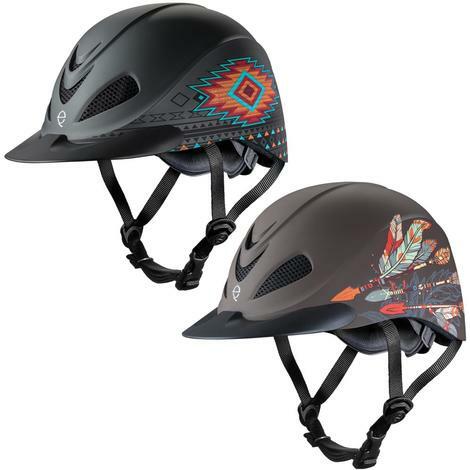 This is a low profile western helmet built for performance, comfort, and style. The inside of this helmet is just as impressive as the western styling on the outside. You get a perfect fit because of the sure-fit pro system. The headliner is fully washable and features flip-fold fit adjustment, open cell foam, moisture wicking, and air channels. The strategically placed air vents let in air that flows through the inside of the helmet while the moisture gets wicked away. 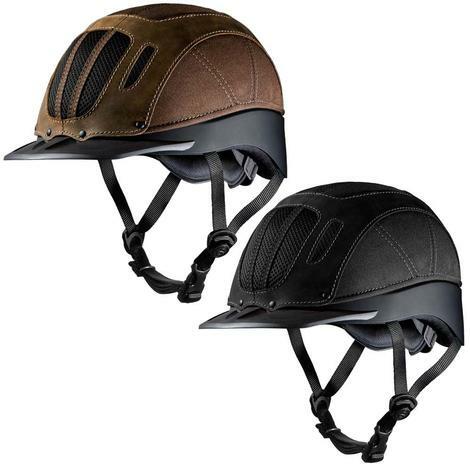 Troxel is the world's leading provider of ASTM / SEI certified equestrian helmets. Troxel was the first company to put their research and development team to work for western and trail riders. 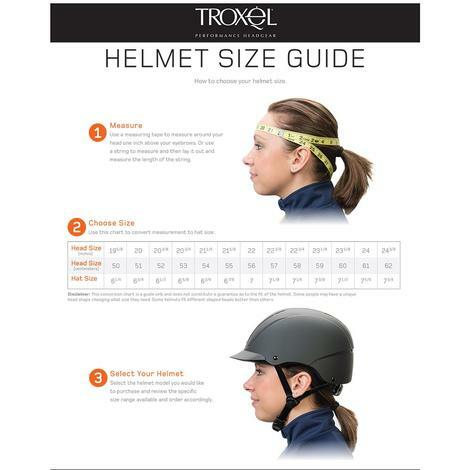 Troxel continues to innovate and lead the industry in equestrian helmets.